Kanye West just released a new album on Tuesday. If you’re not a fan of Kanye West, you probably don’t know that. But if you are a fan of West, you undoubtedly do. And that’s sort of the point of this post. 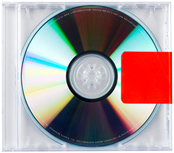 West put out the album, titled “Yeezus,” on June 18 and did so while bucking a lot of traditional promotion patterns for a release of this magnitude. How so? Well, let’s run through the list of how he bucked traditional promotional patterns for a release of this magnitude. Did he announce the release date in advance, allowing for a build up? No. A month and a half before it would be released, he sent out a vague tweet with the date. When he put the date out, it wasn’t even clear what the date meant. That was confirmed later. Did he release small details over a longer period of time to encourage interest and curiosity? Like music videos, collaborations, new songs, etc.? Not really. In mid-May, he projected videos at various locations around the world as a way of premiering new music. Did he do any press or interviews? Not that I know of. He did have some performances, like The Governors Ball Music Festival, where he spoke about the album. Most notably, he performed on Saturday Night Live – probably the only big mainstream bit of promotion he did. Did he release a single? No. Nothing for press. Nothing for radio. Nothing for MTV or BET or any television station. Not even a “viral video,” as the higher quantity stream of lower budget music videos these days are often called. Did he make the album available for pre-order? No. You couldn’t pre-order it. Well, technically you could, in some roundabout ways – like I did on Amazon.fr (Amazon.com’s French store). But in the U.S., I checked several retailers and there was no way to pre-order it. Amazon.com, iTunes, Best Buy, etc. No pre-orders. Does the album have a cover? No. It comes in a plain, clear CD jewel case with a plain CD with only the required markings. Sample credits, copyright statement, anti-piracy warning, etc. It’s minimalistic. There is no cool picture to grab your eye, no shot of the artist that you’d recognize. West did what he wanted and when sales figures are released in the next day or two, he’ll have his sixth consecutive #1 album. One could argue that his careful, deliberate choices in releasing this album are a form of marketing. That mystery stimulates interest and encourages excitement, which drives sales. Anyone arguing that would be right. But if you are a new artist, even an artist with a small, loyal following – this is no way to go about releasing your album. It might seem cool, but if you want to reach people, if you want to put your art in front of more people, if you want to sell a lot of records… you would be shooting yourself in the foot. What frees West up to do this, what separates him from that new artist, is community. You can call it a lot of things. Reputation, credibility, audience. But, fundamentally, it is the people that support his art, the people that follow him wherever he does what he does, the people he connects directly to – most notably through Twitter and his website. It is those people who make it possible for him to do whatever he wants and, at the same time, have the #1 album in the world. That’s the power of community for people and for brands. It allows you to defy standards, conventions and gatekeepers. If you have a direct relationship with the people – and enough people who appreciate what you can do – you can do whatever you want, period, and still be successful. That’s the dream. That’s the goal. Kanye West may be a divisive figure (who isn’t, these days?). But it doesn’t matter because he has his community. Stay focused on who you serve and the rest falls away.